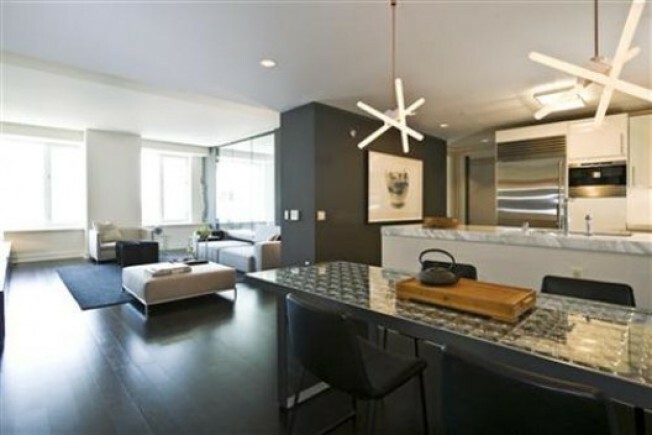 St. Regis unit #29F: A very cool, very grey-and-white, two bedroom, 1,527 square foot condo is now available for the downmarket— for the St. Regis, that is— price of $2,595,000. They don't come cheap— the last one on the block cost $70 million— but the perks of designer living include "Italian marble counters, designer lighting, and electronic window coverings." Crucial.